I ask you to send your candidature about the BikeTrial International season 2015. The "calendar" you see in the General Assembly minutes (page 78) it's only a "draft" used during the meeting to work. The GA 2014 decided only the "dead line for candidature" than will be the 22 December 2014. Please, send your candidature, please. - European Championship in Czech Republic the 23.05.2015 Upd. - WBC 2015 in Odena 18-19 / 20-21 / 22-23 July 2015 (modificable till 30 July). Application for EBC 2014 can be sent to the Organiser until 31.8.2014 without penalty fee! Penalty late fee is 20,- Euro for applications sent from 1.9 - 10.9.2014. 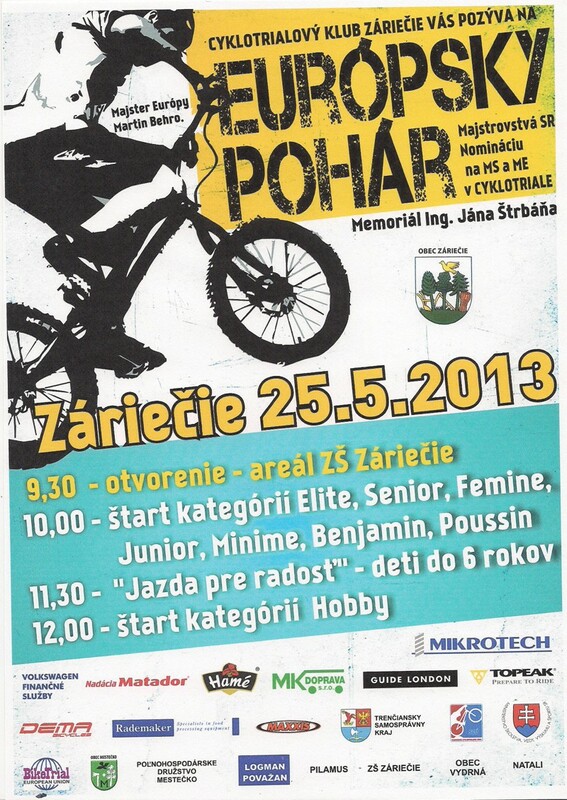 Come to compete to Znojmo for the European titles and enjoy a nice BikeTrial event there. Come to visit a beautiful Czech town where you can taste a good Moravian wine as well. EBC 2014 IS ALSO QUALIFICATION FOR WBC 2015 in the Elite category for riders who are not at the BIU Elite list. We had 70 riders from 11 countries in Valgoglio!!! Very well organised event with 8(6) natural sections and 3 laps. Surrounding by a beautiful nature and an excelent food and nice people. Category Femina ride in every lap different colour of section - white, green, blue. It was an exceptional test before WBC 2014 series. Thank you for your effort, organisers from Dynamic club Darfo Boario and local authorities for your support. We were very satisfied in Valgoglio and looking forward coming back again. European Cup 2014 - Ready to start ! 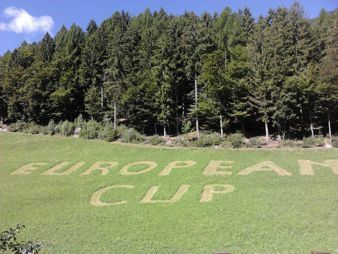 All is ready for the European Cup 2014 competition that will held in Valgoglio the 13th July 2014. 8 section for 3 laps, 100% naturals ! A great competition. Don't lose this great competition. We wait you in Italy ! Thank to Dynamic Trial Club, Valgoglio town and Mr. Negroni Ilario for the good organization . Mr Josef Dressler senior left us yesterday. Fifteen years ago, when I was beginning to take part in BikeTrial competitions as the father, coach and minder of my son Jan, I also began meeting Mr Josef and his wife Hana, as a father who has come to have a look at his son â Josef junior. Mr Dressler always seemed like a man, who was not put off balance by any success or failure of his son and at that time I wished to be able to stay on top of things like he did, when my son will be competing. And at that time Josef Dressler junior was competing for a world title in a professional category. I was a father of a Poussin rider and every little rock in the section was a danger for me. I never got that detached view of Mr Dressler and was always strongly immersed into the riding of my son and his friends. When the time came to help BikeTrial in Czech and then also in Europe, I tried to help. Because of Mr Josef and Pedro Pi I realised that this sport will only exist, when there will be parents of riders willing to help the national and international community as volunteers and not only take care of their own and their family's interests. This is genetically part of our sport and these genes where given to it by the founders of BikeTrial â Mr Pedro Pi, Hiroshi Hirano and Mr Josef Dressler. I am glad that even today there are successors of these people. But to be true, there is too few of us. Right in this season we need to find new volunteers amongst the parents of our riders, which will become a part of the European and World BikeTrial leadership and will be willing to work for the community. Their reward are satisfied faces of young riders and the respect of the BikeTrial community. We need new and determined people into national and international posts in BikeTrial. We need people like Mr Josef Dressler was â the first president and founder of BIU. Without him and others, today's riders would not have the chance to travel with their bike all around the world and do their loved sport surrounded by their family and friends. Mr Josef Dressler, you have my deepest respect for what you have done for all past, present and even future Biketrial riders and their parents all round the world. 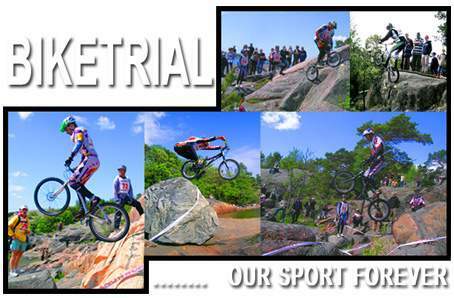 You were all the time until your last season the best example of our motto: BikeTrial - our sport forever. Respected Mr Josef Dressler was awarded for his longlife work for BikeTrial from Libor Musil on behalf of EBU. 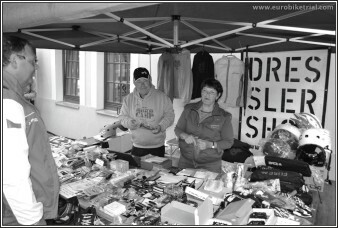 Mr Josef Dressler and his wife serving to young riders - that's how we know them from the last time. Kdyz jsem zacinal se svym synem Janem pred 15ti lety jezdit jako tata, trener a doprovod po biketrialovych zavodech, potkaval jsem pana Josefa a jeho zenu Hanku jako tatu, ktery se prisel mrknout na sveho syna Josefa mladsiho. Pan Dressler vzdy vypadal jako clovek, ktereho uz nejaky uspech ci neuspech jeho syna jen tak nevyhodil z rovnovahy a ja si tenkrate pral, abych nekdy podobny nadhled take ziskal, kdyz muj syn bude zavodit. A to Josef Dressler mladsi v te dobe soutezil o titul mistra sveta v profesionalni kategorii. Byl jsem otec jezdce kategorie Poussin a kazdy kamynek v sekci pro mne predstavoval nebezpeci. Nikdy jsem neziskal nadhled Josefa Dresslera starsiho. Vzdy jsem jizdu sveho syna a jeho kamaradu silne prozival. Kdyz prisel cas pomoci BikeTrialu v Cechach a potom v Evrope, tak jsem se snazil pomoci. Z vypraveni pana Josefa a Pere Pi jsem pochopil, ze tento sport bude existovat jenom tehdy, kdyz budou existovat otcove a maminky jezdcu, kteri budou ochotni jako dobrovolnici pomoci cele narodni ci mezinarodni komunite a nejenom se starat o sve vlastni zajmy a zajmy pouze sve rodiny. Toto ma nas sport v genech a tyto geny mu dali zakladatele naseho sportu pan Pere Pi, Hiroshi Hirano a pan Josef Dressler. Jsem rad, ze i dnes jsou okolo mne nasledovnici techto lidi. Ale po pravde receno, je nas malo. Prave v teto sezone potrebujeme do vedeni evropskeho a svetoveho biketrialu najit mezi rodici nasich jezdcu dalsi nove dobrovolniky, kteri budou ochotni pracovat pro tuto komunitu. Odmenou jsou jim spokojene tvare mladych jezdcu a respekt, ktery u nasi BikeTrialove komunity dostanou. Potrebujeme nove odhodlane lidi do funkci na narodnich i mezinarodnich urovnich BikeTrialu. Potrebujeme lidi jako byl pan Josef Dressler, prvni president a zakladatel BIU. Bez nej a dalsich by dnesni jezdci nemeli moznost cestovat s kolem po svete a sportovat obklopeni svoji rodinou a prateli. Pane Josefe Dresslere, mate nas nejhlubsi respekt za to, co jste udelal pro vsechny minule, soucasne i budouci jezdce BikeTrialu po celem svete a jejich rodice. Byl jste az do posledni sezony nejlepsim prikladem naseho hesla: BikeTrial our sport forever. You can find here all information about the first international BikeTrial event for the 2014 season: the European Cup 2014 that will be held in Valgoglio, Italy, the 13th July 2014. 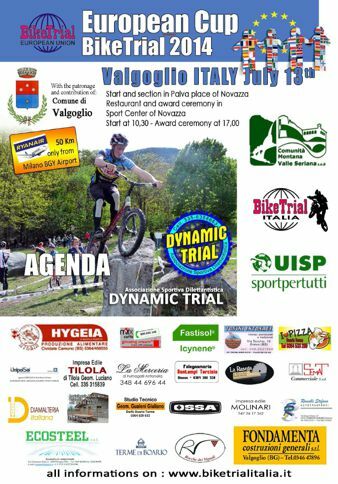 The competition will be organized by Moto Club Dynamic Trial with the contribution and patronage of the Municipalty of Valgoglio. 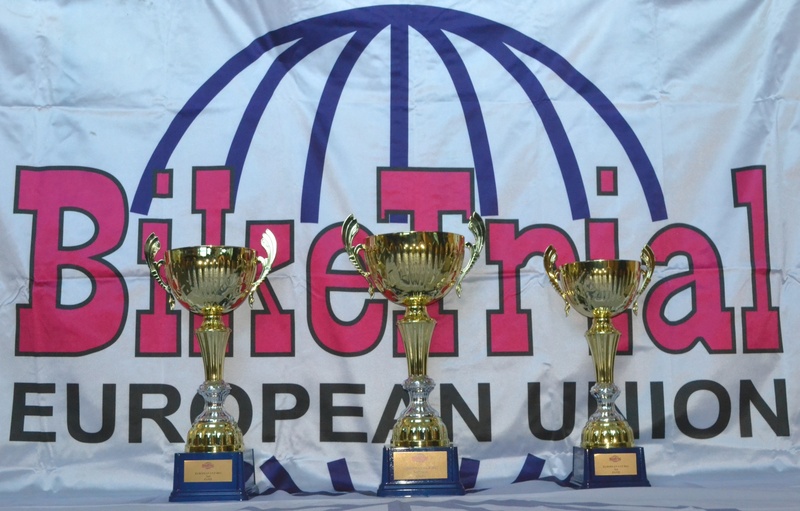 Have a good time in Italy with the European BikeTrial Cup 2014. 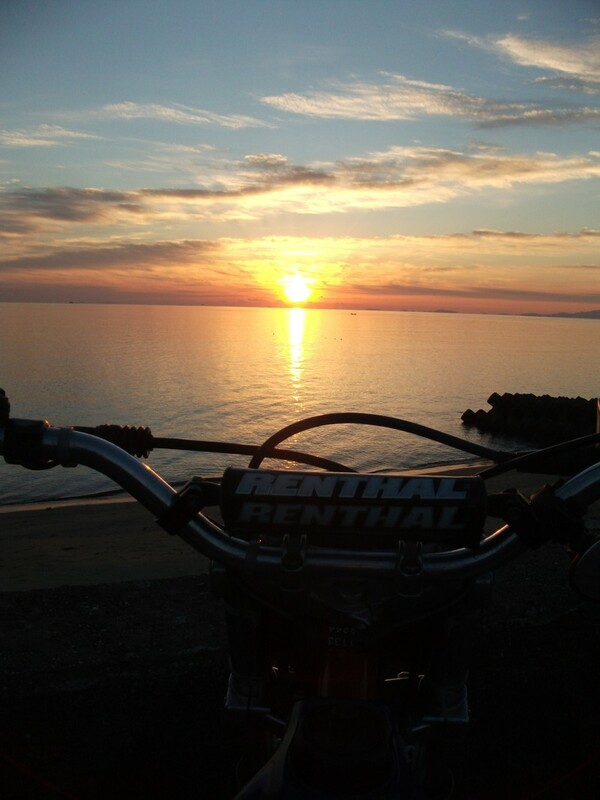 The new 2014 BikeTrial season has already started at the first 2014 sunrise in Japan. EBU has preparing some news for this championship â for example: nomination of WBC 2015 for ELITE category, a new in BikeTrial rules and etc. 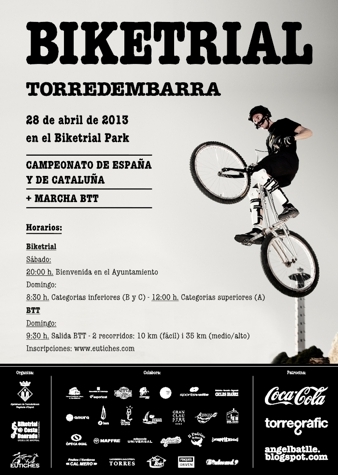 European BikeTrial Championship 2013 took place in a beautiful Spanish town Valderrobres. It was just one year ago when we had there European Cup 2012 as a test of international event. 106 riders from 14 countries took part in EBC 2013. We had complete team from Scandinavia for the first time - Sweden, Finland, Norway, Denmark. Anna Hult did a good job in collection of this Northern team and EBC was also first international event in delegate and Jury member role for Anna. There was also one rider from Australia because we made EBC opened to non European riders as well. Many thanks to all Jury members for their good and responsible work. Jury checking section - well prepared by Mr. Mario. Opening ceremony - short and nice with all national teams, flags and children in a local folk costume, BikeTrial evening festival with a good prices for all winners. Simple and nice award ceremony, event was closed according to time schedule. Mr. Pere Pi as founder of our sport Biketrial was actively involved in the event. Many thanks to all organizational teams - Club Trial Matarrana! I would propose to come back to Valderrobres again with EBC or WBC event again. 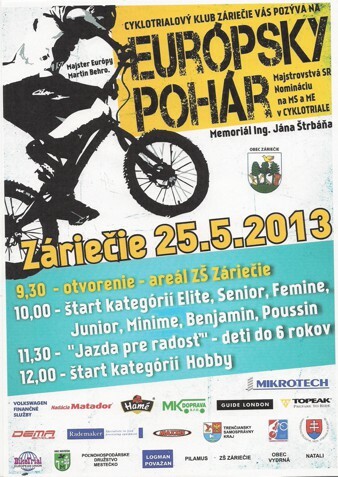 We had a good event in Zariecie as the first round of EC 2013, 50 riders from 6 countries. Slovakian BikeTrial was celebrating 30 years of its existence and this event was very nice gift for all â riders, minders, EBU and organisers. We had possibility to meet iconic Slovak BikeTrial people in action â Anna Sidlikova and her husband Jiri, her son Jan and daughter Katarina as well as Stefal Pcola, Lubos Janoska... Also BIU vicepresident Giuliano Gualeni took part in this event as a honor guest of EBU. We hope to get more international riders in the final round in Nove Veseli. Guys, take your bike and travel around Europe to get more experience and meet your friends. Only Biketrial is giving this opportunity frequently to all riders in all categories. Do not miss this opportunity. Informacia pre rodicov /zakonnych zastupcov/ jazdcov do 18 rokov. Ak s jazdcom do 18 r. nebude na licencnej kontrole EP v Zarieci pritomny rodic /zakonny zastupca/, poslite, prosĂ­m, po jazdcovi na licencnu kontrolu vyplneny formular "Cestne vyhlasenie". /V prilohe/. Ak bude rodiÄ /zakonny zastupca/ pritomny na licencnej kontrole, vyplni tlacivo az na mieste. Formulare budu k dispozicii na licencnej kontrole. 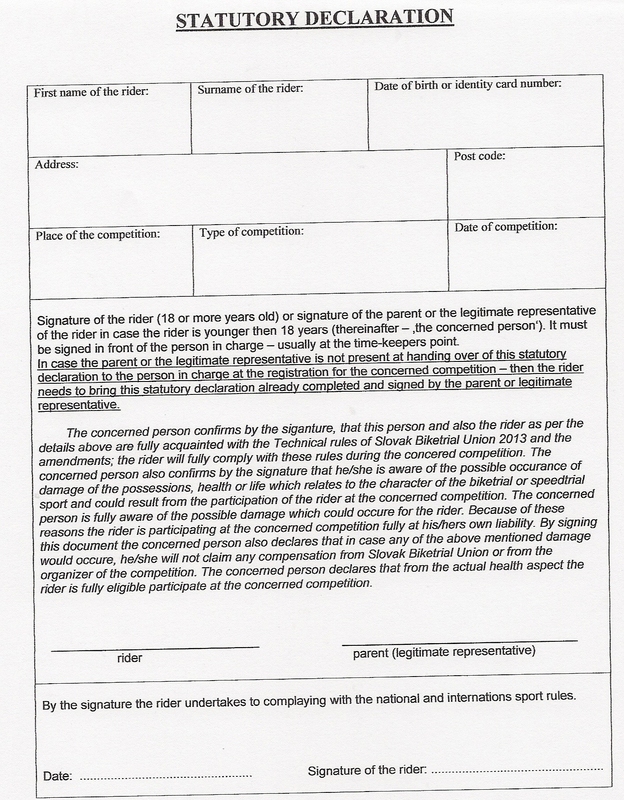 Information for parents / legal representatives/ riders younger than 18 years. 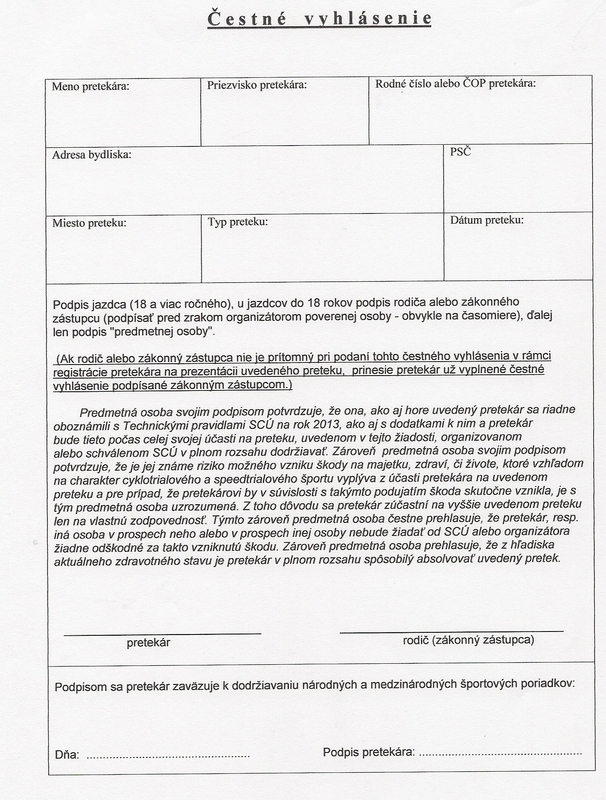 If at licence check EP in Zariecie isn't attending parent/legal representative/ with a rider younger than 18 years, please send with rider filled form "Statutory declaration" / in the attachment/ If is a parent/ legal representative/ attending licence control, will fill the form at the spot. Forms will be available at licence control. Come and meet your international friends and share a new experience. Dear friends, i send you information about the race of my town.. The new 2013 BikeTrial season has already started at the first 2013 sunrise in Japan. EBU committee has been working with Italian BikeTrial Union on a special European BikeTrial Championship 2013. 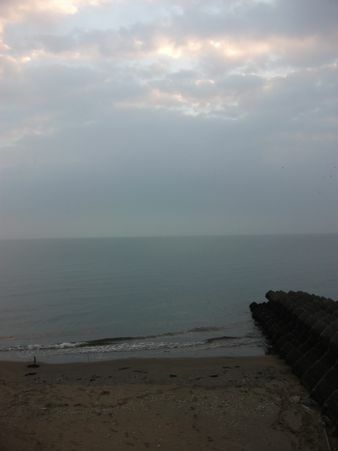 We will set up a definitive place and term at the beginning of 2013. We wish you Merry Christmas with you bikes and BikeTrial memories and Happy New Year and 2013 season! Results of Final Round of EC 2012 in Znojmo, Czech Rep.
Watch our web pages for an update! 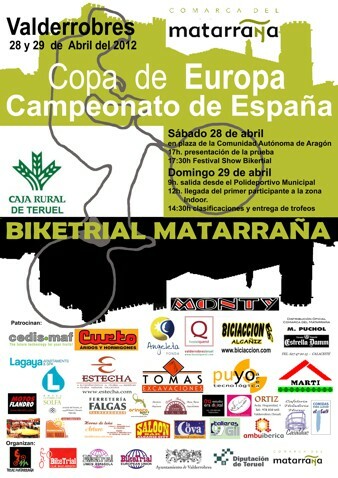 !Come to ride the last international BikeTrial event 2012 and win a nice cups and meet your BikeTrial friends! All 3 first riders in all categories in final ranking of EC 2012 will get a nice EBU cup and special Diplomas. I am sending results from 2nd round of EC in Denmark. We had 56 riders from 11 countries in EC plus cca 15 riders in Danish categories. It is very good result in country where was almost no BikeTrial rider 4 years ago! 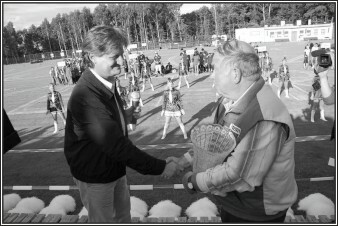 Event was organized by Ole and Nanna Kristensen and their family and friends with passion and enthusiasm. I think all participants saw it and atmosphere was very good as well as sport performance. This event was very important and good step for Danish BikeTrial in their growth in the future and another international events organized there. We will published more photos from EC in 2 days at our web. I hope to come to Denmark with our events again. We have got there very good delegate and BikeTrial team.